One way to add in some really pretty and lively interest to your garden and your outdoor space throughout the year is with some sunflower decorations and accents designed purely for the outside. It’s not surprising that this flower's bright and bold design is a firm favorite because it’s a large, blooming plant that quickly fills a space up with an array of cheerful yellow, orange and even red colors. 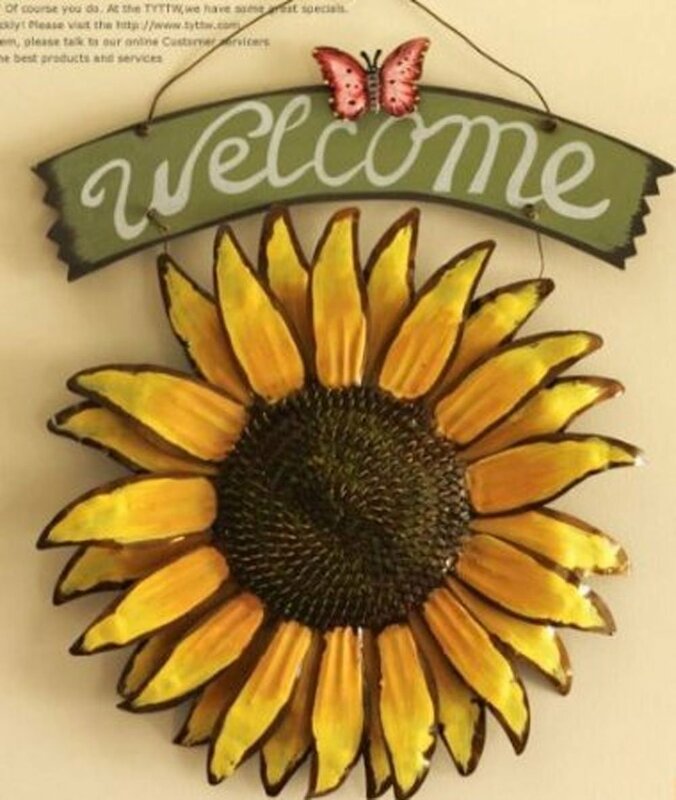 On this page are plenty of ideas for sunflower themed gifts for the garden and yard decor. Now you can enjoy it even through a harsh and cold winter with the addition of some yard decorations based on this flower of the sun. Spoontiques make a wonderful looking and a colorful range of outdoor stepping stones which can be incorporated into your garden. 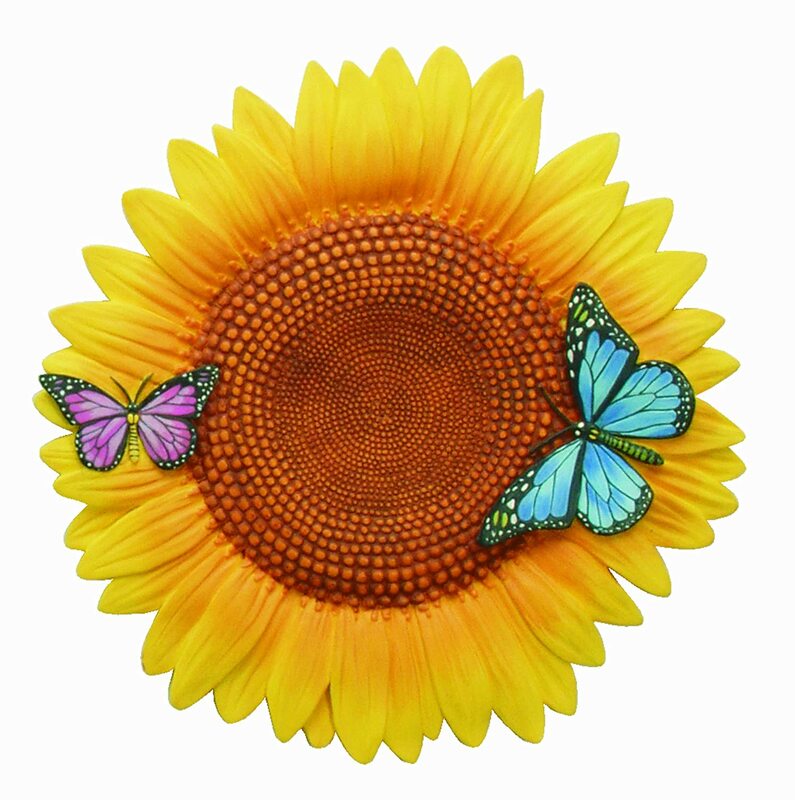 This sunflower stepping stone with a pretty yellow flower butterfly design can be positioned to add a burst of color into your yard. Why not mix this stepping stone in with some plainer stones to keep the overall cost down and make this design stand out or place it in a flower bed or even along a garden path or walkway. The stepping stone is also designed so you can hang it onto a wall or fence instead like a plaque. Wherever you decide to place this, I would think it is going to attract a lot of attention. Items which use this sunshine filled theme include stepping stones, wind chimes, garden stakes, bird baths and feeders, spinners and statues and yard flags. Why not pick out a few key pieces that will really enliven a previously dull area and make it more enjoyable to be in. You can measure the amount of rainfall in your yard by using a rain gauge. You can do this with a special item called a udometer which can measure a specific amount of the rain. 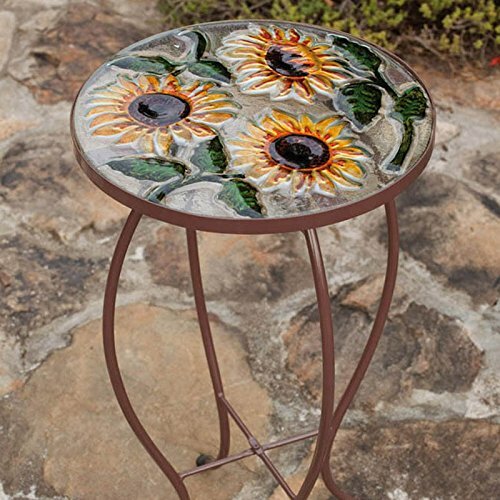 There is a sunflower design, not shown, that features a large flower head and a single leaf which is made to look like antique metal. You can stand this up on a patio or deck to collect water. Because the collection area is made of glass, it should not be left out in freezing temperatures when there is a risk of breakage from the colder weather. A practical and pretty looking outdoor decoration is this 8 inch tall thermometer with a charming gardening scene. It features a design of a fence panel with sunflowers climbing up from a pot with trowel nearby and a blue butterfly. Keep a check on how warm it gets outside with a handy gauge in °F and °C measurements. Wind chimes can be wonderful for creating soft ripples of sound in the breeze. Sunflower design hanging decorations and chimes are a wonderful way to add to your theme. Many people consider these to be lucky as well. Enjoy sitting out on your porch, patio or decking and enjoying hearing the wind as it moves the rhythmic and enchanting chimes. 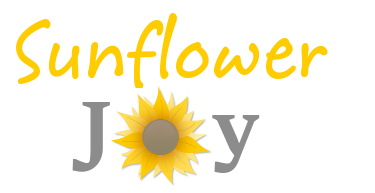 Help to add a vibrant and colorful sunflower display into your yard by adding in a themed flag. Once you have a flag post installed, you’re free to change your flags to reflect different seasons and occasions during the year. Sunflowers look especially inviting in the Spring, Summer and also the Fall season when the colors are deeper and richer. 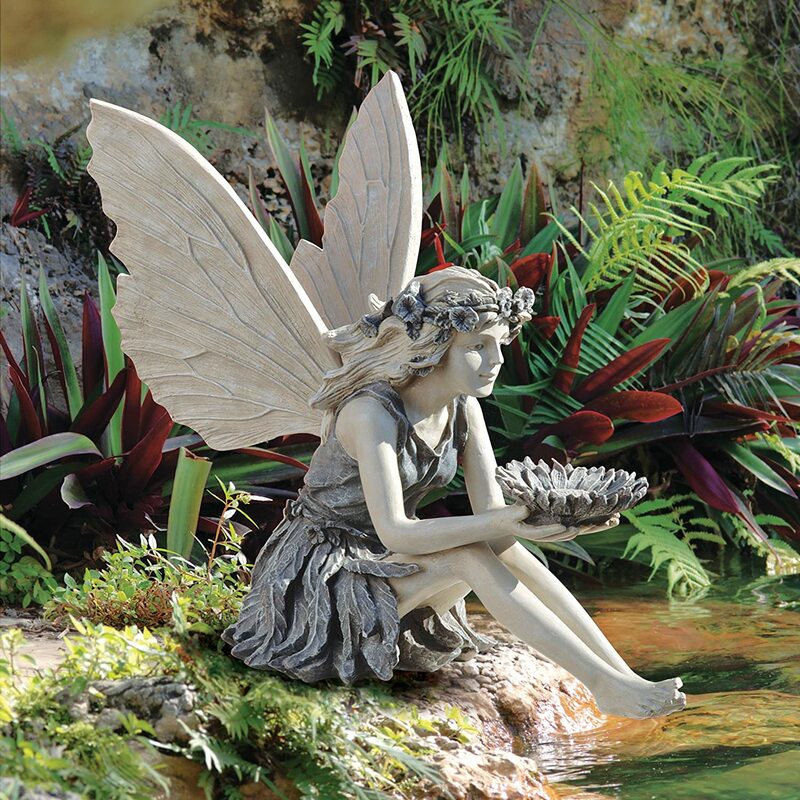 Add a bit of fantasy into the garden with a fairy themed statue. This one is a flower fairy who is adorned in flowers and petals and is clasping a sunflower head in her hands. This statue could be ideal to place at the edge of a pond because of the seated position that she’s been cast into or you could add her up at the edge of a flower bed where she’d be very happy or at the edge of a patio or decking. Wherever you add this fairy, she’s sure to look really magical. A birdhouse can be used just for whimsical decoration indoors or out or it might actually become functional if birds decide to use it for roosting or nesting. Ideally, if you’re planning to get boxes for birds to nest in, you want to choose boxes that conform to specific recommendations. You can get a lot of advice on choosing and siting nest boxes from the National Nest Box Week. Having a bird bath can attract a lot more birds into your yard because birds not only need to drink but they need to wash regularly to keep their feathers in tip-top condition for flying. If your home is the only one in the neighborhood that offers food and a bath too, expect that you’ll be pretty popular once birds discover this new attraction. If you enjoy backyard birdwatching, why not add in some birding items on the sunflower theme. It’s a way of adding decor to your outdoor space which is both functional and fun. Of course many birds enjoy real sunflowers and the seeds that they produce too. I know that many of the wild birds that come and pay us a visit really enjoy sunflower hearts in particular. The hearts are the tasty and nutritious part inside the black sunflower seed. I love the look of this really pretty and bright suet cake feeder which is sure to attract the birds. 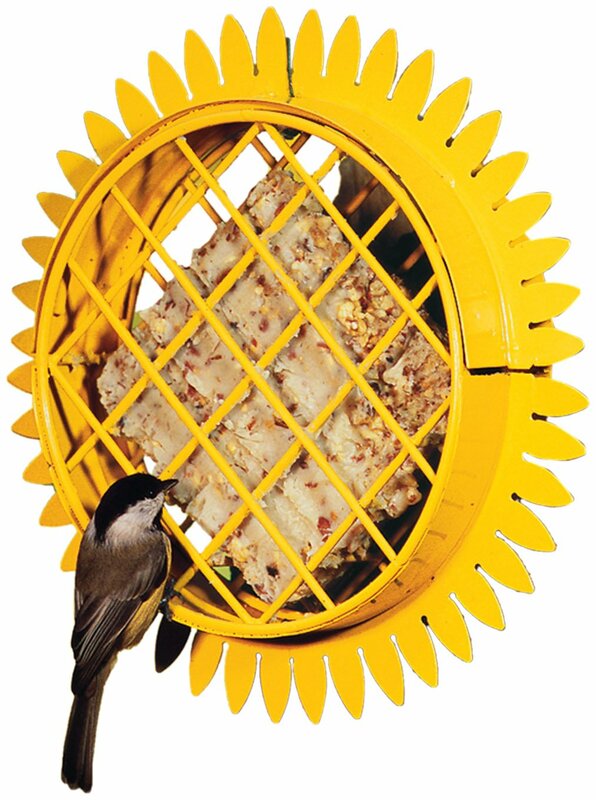 My visiting feathered friends love suet cakes and I always have two different varieties on the go at the same time. Many species of bird enjoy this high energy food and it’s especially good through the harsher winter months. In the winter, natural food is more scarce and also during the spring and summer time when birds are really busy making nests and caring for their young. If you live in an area that gets very hot, try to get a no-melt variety of suet cake which doesn’t melt and spoil in the heat. Look for a bird bath that has a nice shallow sunflower head shaped bowl which is suitable for birds to safely bathe in or, if you don’t want the fuss of regularly cleaning out and changing water, you could fill it with seed or suitable scraps for birds to enjoy instead. 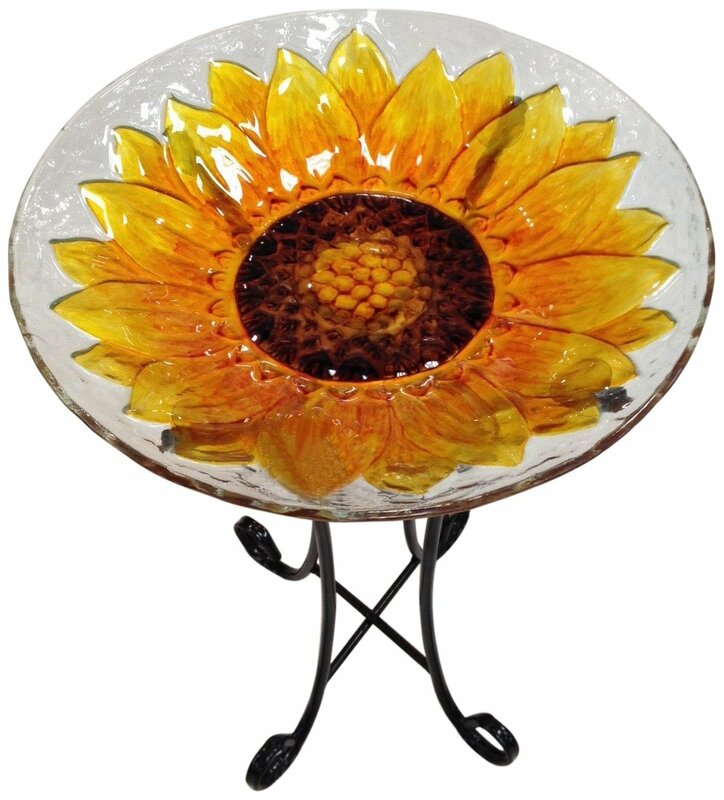 You can get glass bowl bird baths with pretty and colorful floral designs. Although these look great, they are not altogether practical since they can crack in freezing temperatures which is the same with ceramic designs too. 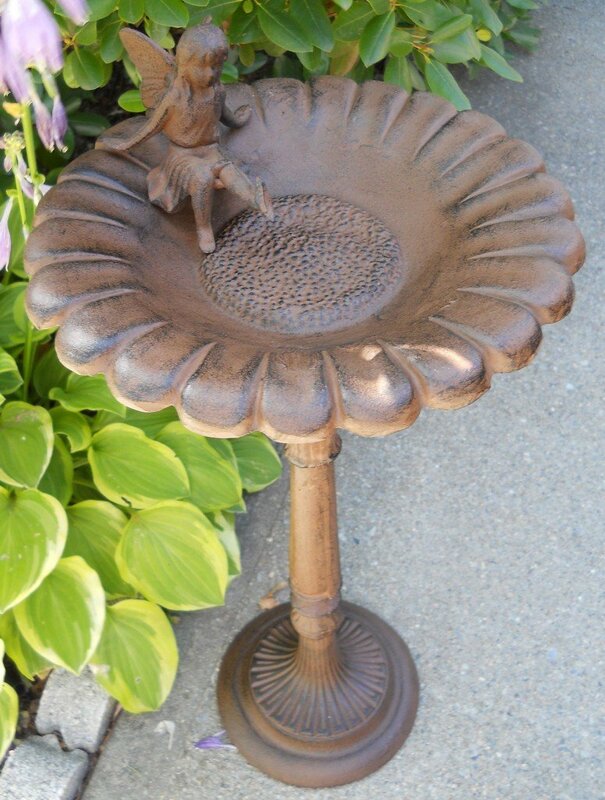 I would recommend getting a more durable metal bird bath which will stand the test of time such as one that is made from cast aluminum and cast iron.